Are you looking for an unforgettable Swiss experience? 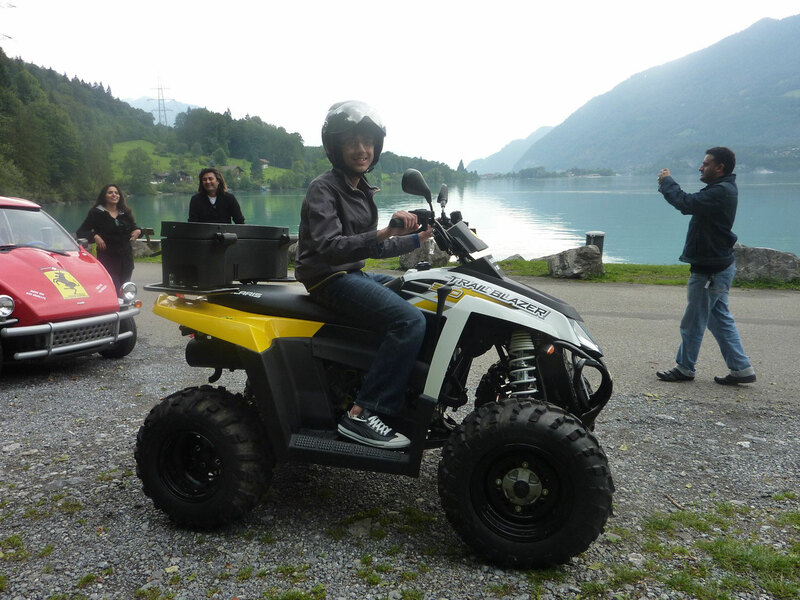 Maybe you would like to see a bit further beyond the town of Interlaken? 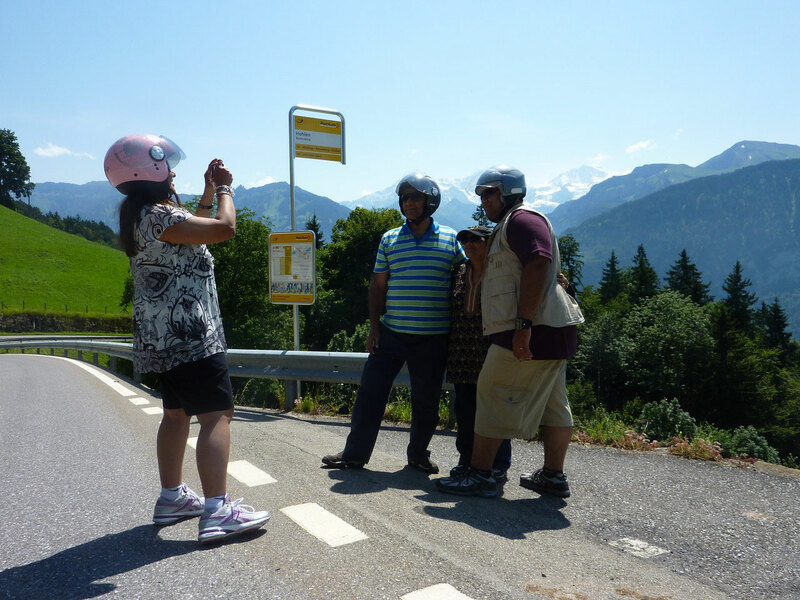 Join us on one of our unforgettable tours and explore the surounding area with its little villages, lakeside views, forests, snow-capped mountains... Come with us and have fun riding your favourite motorised vehicle. 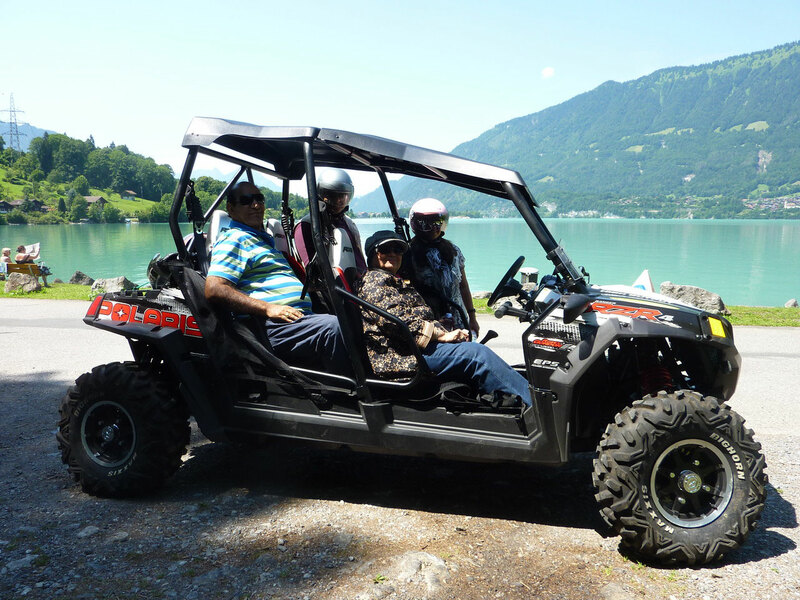 We leave Interlaken and drive on small, winding roads alongside Lake Brienz. See little romantic fishing villages. There are many great photo opportunities and relaxing places to just marvel at the spectacular views. This tour is easy to ride and for everyone! 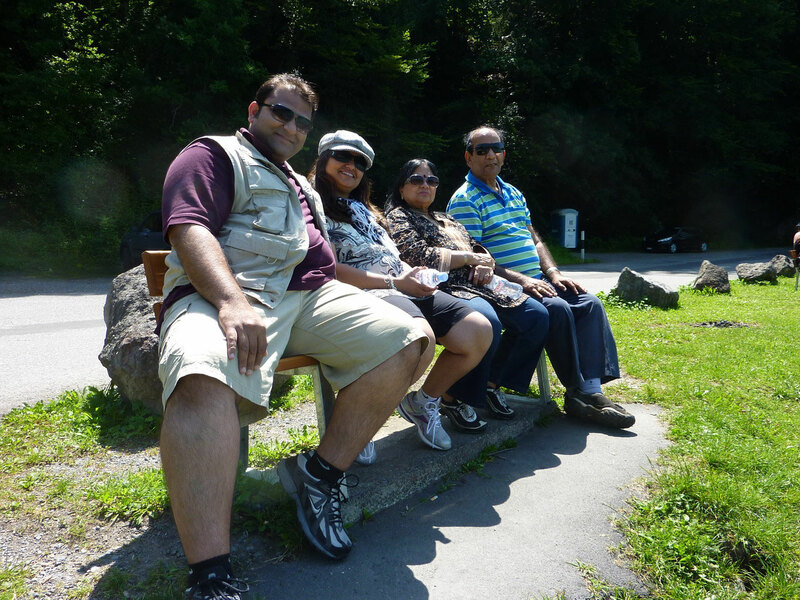 Pictures from Interlaken guided tour along Lake Brienz! Tour starts every day between 5:00pm and 6:00pm from Daniel's Funrental! Other times on request; minimum 4 people!